China's plans to close overcapacity in energy-intensive and environmentally-damaging industries, such as coal mining and steel, are central to its economic transition over the next five years, as set out in its latest Five-Year Plan (FYP). But as the US and European countries can attest, curbing industrial overcapacity can involve job losses, mass migration, economic stagnation and social unrest in rust belt areas; scenarios that China’s leadership is desperately trying to avoid. Protecting workers who face unemployment has become a major concern at central and local government level, but the proposed remedies are unlikely to allay concerns among many of those who are most at risk. The government has identified four ways that workers can be re-employed, although experts warn these options are unlikely to be attractive to those who enjoyed reasonably well-paid jobs in heavy industry. These options include: moving to new jobs within the same company; using existing facilities and equipment; increasing the ability of workers to find new jobs or start their own companies; offering company pensions to older workers; and providing basic government jobs to those who were unable to find alternatives. The number of those expected to be affected by China’s move to an economic “new normal” is startling. 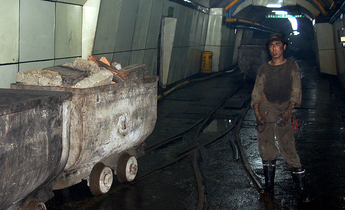 China’s Ministry of Human Resources and Social Security (MOHRSS) estimates that during the 2016-2020, 1.8 million workers in the coal and steel industries will have to change or lose their jobs. An evaluation by Goldman Sachs of the seven industries most affected by overcapacity (including coal, steel, cement and plate glass) found that a 30% cut in capacity would mean that new jobs would need to be found for between 2.7 and 4.5 million workers. The Revolutionary Committee of the Chinese Kuomintang, one of China’s small political parties that are allowed to take seats in the Communist-dominated National Party Congress (NPC) estimates that an economic shift could impact 10 million workers by the end of the decade. While huge job losses pose a major challenge for China’s economic and social structures, there is little disagreement about whether drastic measures are required to address chronic overcapacity in China’s heavy industries. 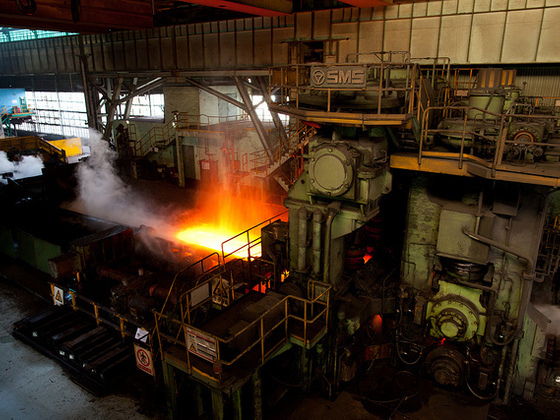 A report by the Minsheng Securities Institute on China’s capacity reduction shows that only 68% of China’s raw steel production capacity is used, while utilisation of cement clinker (unmilled cement) production capacity fails to reach 70%. In both cases, more than 30% of capacity is unneeded – although job losses are unlikely to be proportionate to projected overcapacity. This represents only 13%-17% of total steel output for 2014. “Reducing capacity and reduction output are different things. 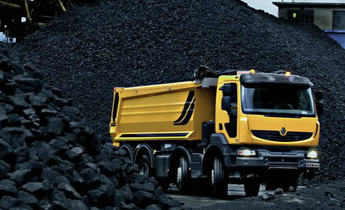 Capacity might be cut by 30%, but it is the changes in output which will determine job losses,” said Jiang Kejuan. In other words, capacity is how much could be produced – not how much is actually produced, pointing out that excess and unused capacity are often unstaffed. “If changes in output aren’t significant, changes in employment won’t be either,” he said. Some local governments, including those Hebei Provonce, have already put forward plans for cutting overcapacity. 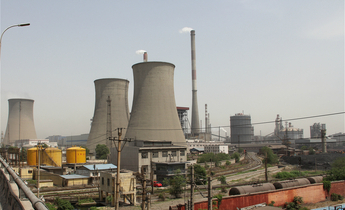 The situation for coal, which accounts for almost two-thirds of China’s primary energy demand, is more complex, however, points out professor Lin Boqiang of Xiamen University’s China Center for Energy Economics Research. Lin says stability is the main concern and that the government is keen to avoid the experience of the 1990s, when large numbers of state-owned firms were simply shut down without any redress (leaving 20 million people out of work) cannot be repeated. However, 100 billion yuan of funding promised by the central government is likely to be far below what is needed to find new jobs for those affected. Local governments and businesses will have to contribute, but as China’s GDP growth slows, there may be less money around to fund redeployment of workers. “For state-owned firms, the changes will mainly take the form of mergers, rather than just closure. So job losses at state-owned firms won’t be too bad,” said Lin. 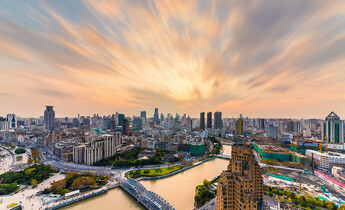 Xu Shaoshi, head of the National Development and Reform Commission said at the this month’s ‘twin sessions’ (also known as Lianghui) that he is confident that the current social and economic circumstances are suitably different from those of the 1990s, ensuring widespread job losses will be avoided. 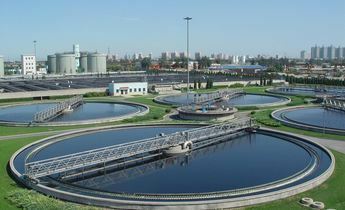 Methods of reforming state enterprises have changed too. Xu gave Hebei as an example. He said the province had more of a problem with overcapacity than elsewhere, but also started dealing with it earlier. He claimed that no major problems have been encountered while merging and restructuring firms, restructuring debts, and finding new jobs for workers. “And nowadays one percentage point in economic growth means twice as many jobs as it did in the past. So sustained economic growth means even more jobs created,” said Xu. 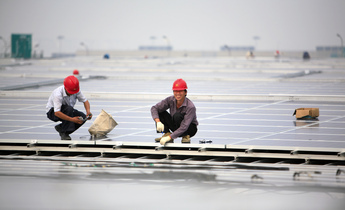 According to a China Clean Air Alliance report on funding needs for China’s 2013-2017 air pollution action plan, the smooth implementation of that plan could create 3.8 million new jobs, while 890,000 would be lost from elimination of inefficient facilities, delivering a net gain of 2.9 million jobs. The action plan limits the development of small and medium-sized energy-intensive and polluting firms. It also encourages a shift away from labour-intensive industries, which rely heavily on capital and energy, while emphasising environmental protection, thus optimising the industrial structure. China’s service sector accounts for at least than 50% of GDP, according to official data and is likely to increase as overcapacity in heavy industry is reined in. The 13th FYP will see a big push to improve China’s economic structure, and by 2020 high-tech manufacturing, modern services, and strategic emerging sectors will become important job creators. However, it will be difficult for some to find jobs in emerging sectors. For example, when coal is replaced by solar and wind power, specially-trained workers will be needed – not unemployed coal miners. Research by the China Association for Promoting Democracy found that many workers would struggle to find new jobs due to a lack of skills. Vocational training is often only open to those who have recently left education, and full-time study would not allow for part-time work to provide for families. Hao Ping, Deputy Minister for Education, said the ministry will further reform schools, universities and training in order to provide more retraining and entrepreneurial skills, so workers can find new jobs. But figures from the Hebei provincial government show tge scale of that task. At the end of 2014, 437,500 workers had been affected by reductions in capacity. Of these, 210,000 had found new jobs within their companies, while 88,900 were being retained on basic wages while awaiting work. Almost 900,000 had been laid off. 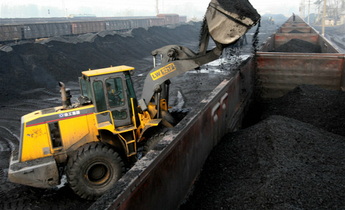 Roundtable: What are the benefits of China's ban on new coal mines?